Come style the look of the hit show. Now YOU have the keys to the wardrobe! 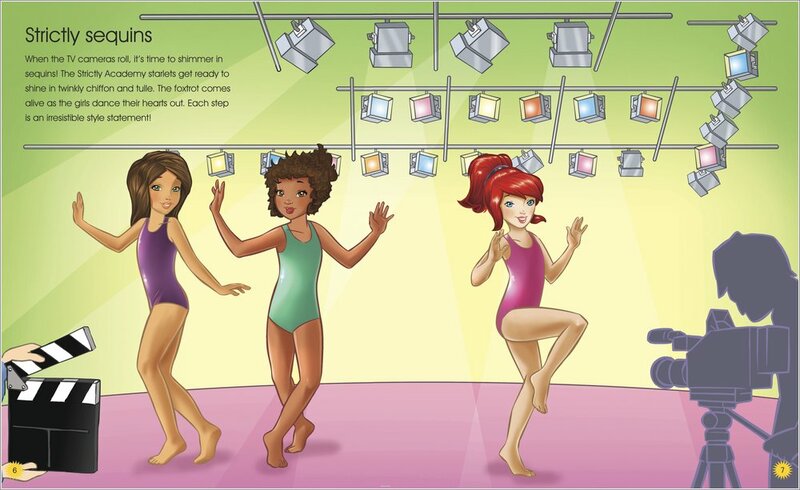 Enter the world of the Strictly Dance Academy – where future stars of the dance world are trained. Three budding stars – Bella, Natalie and Sofia – need you to make their wardrobe work! 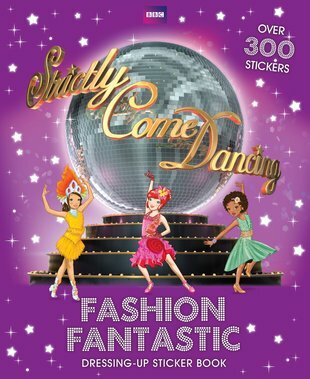 Dress them up to make a big impression using over 300 gorgeous stickers. Stick in sequinned skirts, twinkly tiaras and floaty feather boas. Then watch the girls foxtrot up the red carpet and rumba down the catwalk. Let’s dance! Colour in Bella and Jason, stars of the Strictly Dance Academy. Learn all about your favourite Strictly dancers. Can you spot the six differences between the pictures of Bella and Jason?